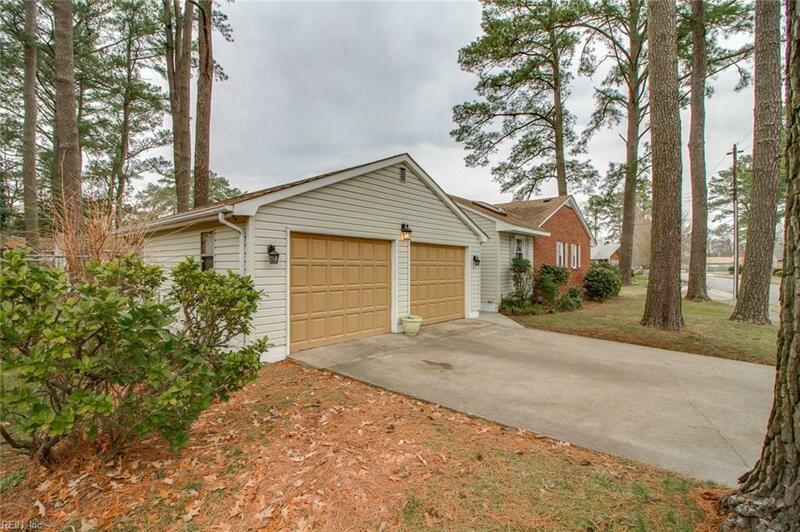 5345 Pine Grove Ave, Norfolk, VA 23502 (#10244186) :: Abbitt Realty Co.
Well-maintained, 3 bedroom ranch with an open floor plan on a corner lot in Elizabeth Park. Fresh, modern colors with a coastal flair. 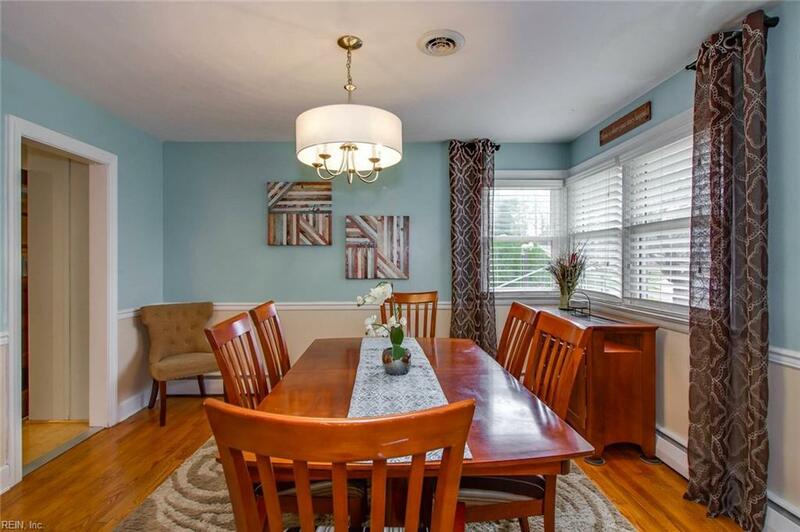 Gleaming, refinished hardwood floors, and newer windows that make it light and bright. Living room with gas fireplace and built in shelving, spacious dining room with enough seating for 10 and a corner window. 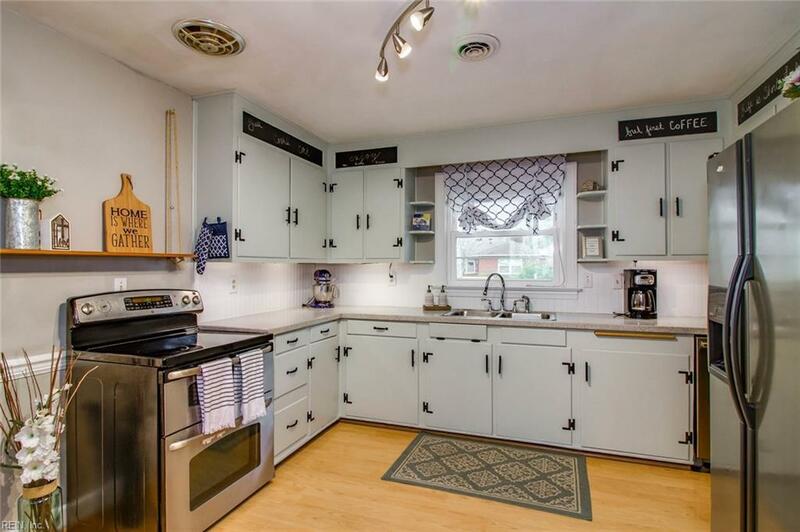 Kitchen has stainless steel appliances, an open bar with seating on both sides, solid wood cabinets, plenty of storage and counter space. 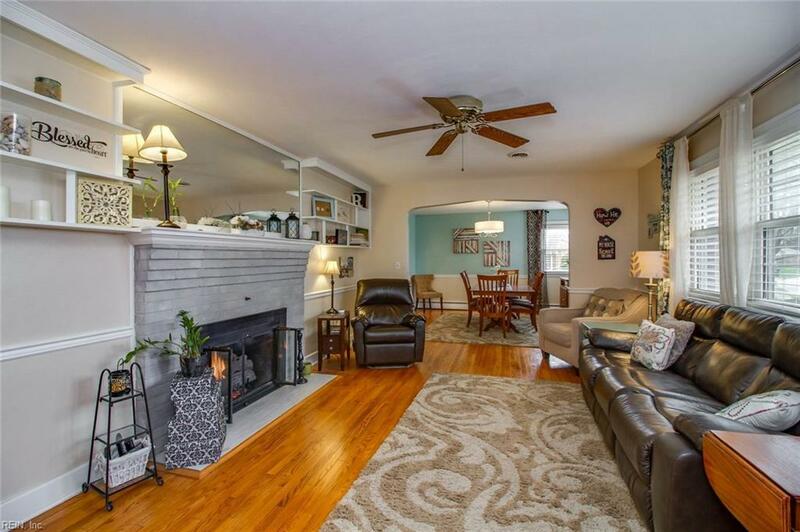 Attached garage has been converted to cozy, functional multi-purpose room with front and back entrances plus walk-up attic staircase. Luxurious Master Suite has a cedar lined walk-in closet, second closet, attached master bath with separate tub and shower. Two car, detached garage and workshop has it's own electrical panel, whole house generator plug, and lots of storage. Shed is 16x11 with power. Dusk to Dawn lighting, patio, deck and so much more. Near interstates, shopping, restaurants and the Tide.